Patty is the Deputy Chair of Belvoir. Patty was previously a non-Executive Director of AMP Limited, Ramsay Healthcare, AXA APH, Coles Myer, Energy Australia, the NSW State Library Foundation and YWCA NSW. Patty has over 30 years’ experience primarily in consumer-related industries and has worked for McKinsey & Company and David Jones. She is a member of Chief Executive Women and received the Centenary Medal for Services to Australian Society in Business Leadership. Patty has an MBA from Harvard Business School and a Bachelor of Arts in Political Science from Wellesley College. 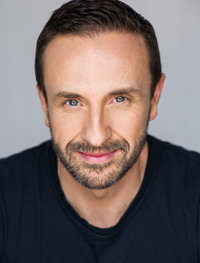 As an actor, director and writer, Mitchell has worked for most state and commercial theatre companies and most Australian television networks for the last 20 years. He holds three Helpmann Awards for leading actor for The Mikado, Avenue Q and The Venetian Twins, Green Room Awards for Hair and Piaf, and Sydney Theatre Awards for Best Lead Actor in The Merchant of Venice and Best Director of a Musical for Violet. Mitchell’s work at Belvoir includes Mr Burns, The Government Inspector, Angels in America, Strange Interlude, Snugglepot and Cuddle Pie, The Laramie Project, A View From the Bridge and Dead Heart. His writing credits include And Now For the Weather, Killing Time and Meow Meow’s Little Match Girl (co-writer). Mitchell has taught at ATYP, NIDA and the Australian Institute of Music (AIM). He has been a proud member of Actors Equity since 1988, was a member of the National Performers Committee from 2007 to 2017 and was Federal Vice President of the Media, Entertainment and Arts Alliance from 2010 to 2013. He is also on the Advisory Panel for the Australia Council-funded New Musicals Australia and is a fellow of the Australian Institute of Music. Luke is a proud member of the Wiradjuri nation and was born and grew up on Gadigal land in the inner suburbs of Sydney. Luke has appeared in The Cake Man, Capricornia, A Midsummer Night’s Dream, Conversations with the Dead, The Dreamers and No Sugar at Belvoir, and has extensive credits across theatre, film and TV. In 2013, Luke won the Deadly Award for Male Actor of the Year for his performance in Redfern Now. He is currently a presenter on Play School. Sue was appointed Executive Director of Belvoir in August of 2017, having first worked at the company as General Manager from 2004 to 2006. Previous to this, Sue was Executive Director of Queensland Theatre for close to six years, and Executive Director of the national lobbying and advocacy organisation Australian Major Performing Arts Group (AMPAG). 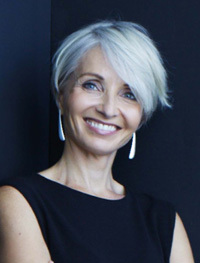 With more than 20 years of experience in arts and cultural development, health and social policy, Sue has held a diverse range of senior executive positions including Director of UNSW Foundation, Director of South East Arts (UK), Public Affairs Manager for Sydney Symphony, and Director of Arts Development, Arts NSW. She has consulted and lectured in arts business development and management, and served on wide-ranging Government advisory boards, funding committees and tribunals, as well as the boards of numerous arts and not-for-profit companies. 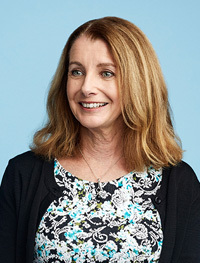 Sue holds a Master of Social Work with Merit and a Bachelor of Social Studies from the University of Sydney and is an alumnus of the Asialink Leaders’ program. She is a member of Live Performance Australia’s Executive Council, and sits on the boards of Chunky Move and PAC Australia (formerly APACA). Eamon is Belvoir’s Artistic Director. He was born in Singapore and grew up in Singapore, Darwin, Brisbane and Cootamundra. 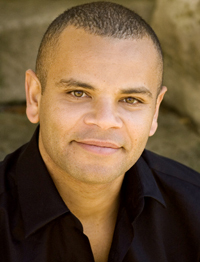 He trained as an actor at WAAPA from 2001 to 2003 and has since worked as a director, actor, writer and dramaturg, from Milikapiti on the Tiwi Islands to Geraldton and Melbourne. For Belvoir, Eamon has directed Ghosts, The Rover, Ivanov, Angels in America Parts One and Two, The Glass Menagerie, Babyteeth, As You Like It, Twelfth Night or What You Will, The Blind Giant is Dancing, The Great Fire, Once in Royal David’s City and The End. He co-adapted Ruby Langford Ginibi’s memoir Don’t Take Your Love to Town with Leah Purcell, and co-devised Beautiful One Day with artists from ILBIJERRI, version 1.0 and Palm Island. 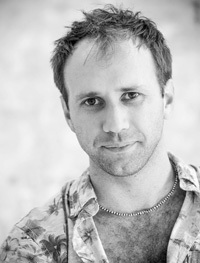 His dramaturgy credits for Belvoir include Neighbourhood Watch, The Wild Duck, Brothers Wreck and The Book of Everything. His adaptations include Chekhov’s Ivanov, Gorky’s Summerfolk and Sophocles’ Antigone. Ivanov won four Sydney Theatre Awards in 2015 including Best Mainstage Production and Best Direction. Eamon’s productions of The Glass Menagerie and Angels in America both won Best Play at the Helpmann Awards. 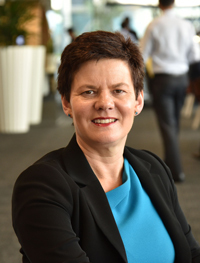 Alison is the National Chairmanof KPMG Australia. She is also a member of KPMG’s Global and Regional Boards and is Chair of KPMG’s Global Audit Quality Committee. 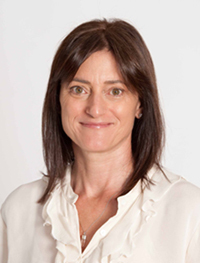 In this role Alison is responsible for the overall governance and strategic positioning of KPMG in Australia. Alison has held a variety of management and governance roles within the partnership, as well as serving as External Audit Partner for a range of major ASX listed companies, 5 of those have been on ASX’s Top 50 listing. Outside of KPMG Alison has held a number of external board appointments in the not for profit sector across the mining, safety and education sectors and has served as auditor to numerous charitable organisations. Alison has a Bachelor of Business Studies from the University of Sheffield. She is a Fellow of the Institute of Chartered Accountants in England and Wales, Fellow of the Institute of Chartered Accountants in Australia, a Registered Company auditor and a Member of the Institute of Company Directors. Michael Lynch was Chief Executive of London’s Southbank Centre from 2002 until 2009 and was responsible for the major renovation of Royal Festival Hall and the transformation of the Southbank cultural precinct. Previously, Michael held positions as Chief Executive of the Sydney Opera House, General Manager of the Australia Council and General Manager of the Sydney Theatre Company. From 2011 to 2015 he was Chief Executive of the West Kowloon Cultural District, an ambitious project which will see a huge arts precinct built on the shores of Hong Kong‘s Victoria Harbour. Michael is currently Chairman of Circa, Chairman of the Sydney Community Foundation, and a Board Director of Belvoir Theatre. Stuart founded Houston in 2011 after previous roles as CEO of Ogilvy & Mather Sydney and 12 years as CEO and partner at Moon Design. Houston, in exceptional timeframe, has built an unprecedented list of iconic clients with large-scale brand projects. These include the Qantas Group, Caltex Australia, Toyota, Lendlease, UTS, Macquarie Group and NRMA Mutual, and a host of key non-for-profit organisations such as Luke Battey Foundation and Wayside Chapel. He worked across eight Sydney Theatre Company seasons and four seasons of the Sydney Symphony. 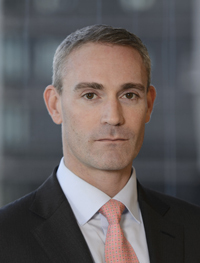 Since selling Moon to STW Group (now WPP) in 2008, Stuart has also been an active investor in a number of successful start-ups and digital disruptors including SocietyOne, Prezzee, and ROKT. Peter is a Managing Director with Greenhill, where he provides financial and strategic advice to major Australian corporations and governments. Peter practised as a solicitor with Mallesons Stephen Jaques and lectured in law at the University of New South Wales before joining Greenhill. Peter is the Chairman of Playwriting Australia, the peak Australian body supporting new writing for theatre, a director of Company B Limited (the producing company of Belvoir St Theatre) and a member of the Finance Council of the Institute of the Sisters of Mercy in Australia and Papua New Guinea. Peter is also the Philanthropy Adviser to the Council of The Women’s College within the University of Sydney. He has held board positions with numerous other community organisations including the Finance Council of the Sisters of the Good Samaritan of the Order of St Benedict in Australia, Inner City Legal Centre (ending as Chairman) and The English Association, publishers of Southerly, Australia’s oldest literary magazine (ending as Treasurer). Peter attended St. Ignatius’ College, Riverview and the University of New South Wales, where he received a Bachelor of Laws (LLB) and a Bachelor of Commerce (BCom) with honours in Finance.